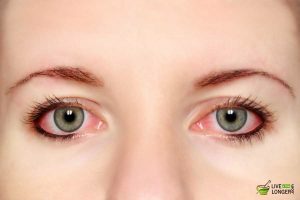 Pink eye (aka conjunctivitis) is an inflammation or infection of the conjunctiva (the mucous membrane that layers your eyelid and surface of the eye). The membrane is usually clear but gets red and swollen when an infection or irritation occurs. Pink eye can affect one or both eyes to any age group. It lasts for around 7 to 10 days. They are neither fatal nor do they cause any damage to your vision. However, there might be a constant irritation. 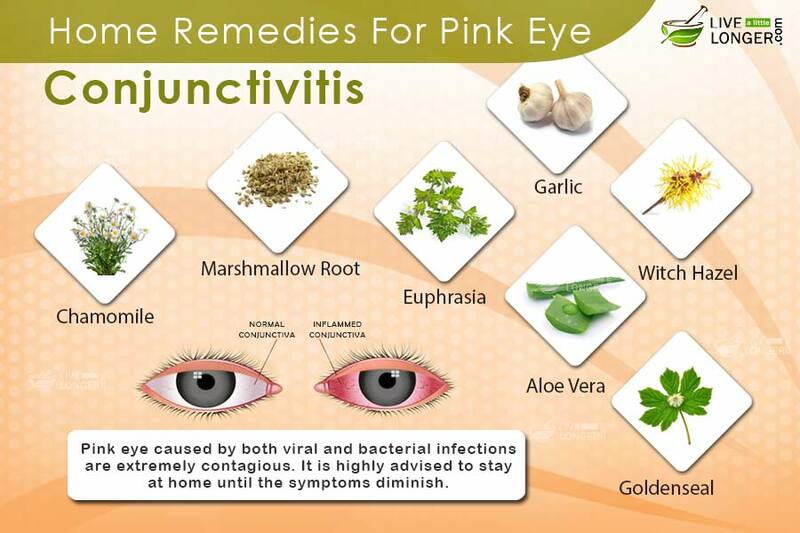 To help relieve the discomfort, a few home remedies for pink eye (or conjunctivitis) can help. Before we explain them in detail, know its symptoms and causes first. Do You Know Which Virus Causes Pink Eye? Pink eye is caused by bacterial infections and can affect both the eyes. 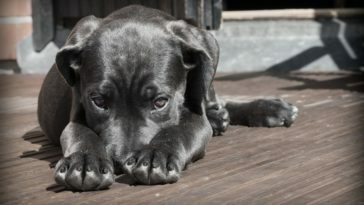 Usually, it is accompanied by a discharge of pus. However, if it is a viral infection, then the virus behind it is “adenovirus”, which first infects one eye and the other in a few days. It is accompanied by a clear and watery discharge. The symptoms of pink eye (if it is viral) can last for a week or two and can become chronic. Pink eye caused by both viral and bacterial infections are extremely contagious. It is highly advised to stay at home until the symptoms diminish. The bacterial and viral pink eye can affect one or both the eyes. Viral conjunctivitis is usually accompanied by a watery discharge from eyes, and a thicker discharge accompanies bacterial conjunctivitis. Both the infections can be related to colds or respiratory infections, like a sore throat Both these infection types are highly contagious and is transferred when coming in direct or indirect contact with the eye discharge of the affected person. 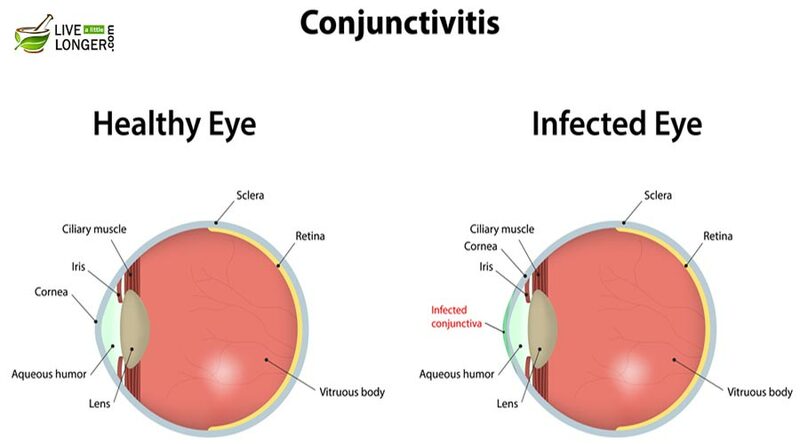 Bacterial and viral conjunctivitis affects both adults and children. However, children can suffer from bacterial pink eye more often. Allergic conjunctivitis is usually accompanied by symptoms like swollen eye membranes, tearing, and severe itching. 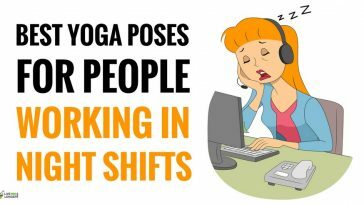 Mild level of eye pain could be experienced. Most common reasons of allergic conjunctivitis include dust, animal dander, and seasonal pollens. This type of eye infection is seasonal and can be seen with allergic symptoms like scratchy throat, itchy throat, or sneezing. Note: Washing the eyes with excessive amounts of water is very important if a chemical substance gets into your eyes. Chlamydia pink eye infection is a very rare case of a bacterial pink eye. 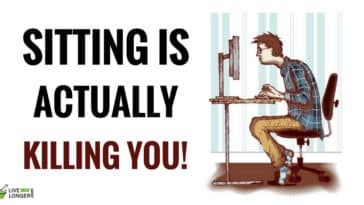 It can affect both children and adults. Chlamydia conjunctivitis in teens and adults can be sexually transmitted. Step 1: Stew a teaspoon of Eyebright herb in a cup of hot water. Step 2: Allow the mixture to cool down and then strain. Step 3: Use cool rose water to dilute the strained tea. Step 4: Use the mixture as an eyewash and wash your eyes every 4 hours to get rid of pink eye symptoms. Note: Herbal experts suggest using this topical method only for a short term. 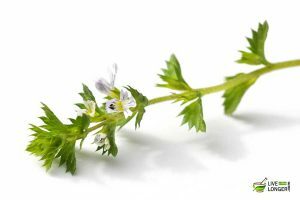 Due to potential contaminations in homemade non-pharmaceutics Euphrasia tea preparations, supervision of an herbal expert is highly recommended. Also, consuming Eyebright tea and taking Eyebright tablets or capsules may help to quicken the healing process. The anti–inflammatory and antihistamine properties of the herb act as astringents to kill the bacteria/virus that causes the infection. You are pregnant or breastfeeding (consult your doctor beforehand). You are scheduled for surgery in two weeks. Using saline solution is one of the simple and popular ways to treat pink eye at home. Saline solution is not only used for eye infections and contact lens care but can also be used as a nasal rinse and for wound irrigation. It is even used in a neti pot to treat sinus infections. Making DIY saline solution at home is simple, as it takes only two basic ingredients — water and salt. Step 1: Add one to one-half tablespoon of salt to one cup of boiling distilled water. Step 2: Let it cool for some time and then use it as eyewash with the help of a dropper or an eyecup. Step 3: Use the solution to wash your eyes several times a day. The combination of sterile water and sodium chloride content of the salt makes it a great disinfectant, which helps to cure pink eye and ease off the symptoms. 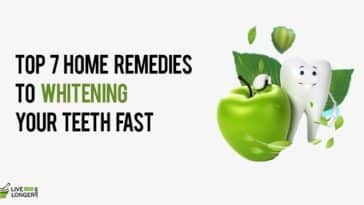 You are taking any dietary supplement, herbal preparation, or any other medication. You have any allergies to certain types of foods, medications, or other substances. Goldenseal is a herb that belongs to eastern woodlands and grows well in rich soil. It is a great over the counter medicine for pink eye. Step 1: Add ½ teaspoon of salt (Himalayan salt or sea salt) and add goldenseal root to a cup of distilled water. Step 2: Boil the mixture and allow it cool. Step 3: Strain the liquid and use it as eyewash once or twice a day. Note: Since goldenseal is very strong, use it in moderate. You can also treat conjunctivitis internally by consuming a tea made of goldenseal and raspberry leaves (astringent). Drink a cup of this tea, thrice a day. 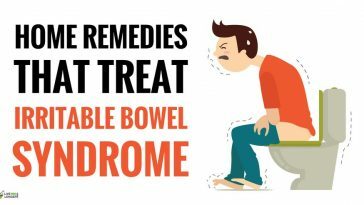 Direct application of the goldenseal powder on the affected area may also help curing the symptoms of pink eye (not recommended for treating children). 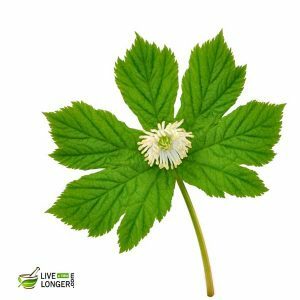 Goldenseal contains berberine, which is an effective antibiotic that fights against strep and staph infections (two common reasons of pink eye). You are administering for children. 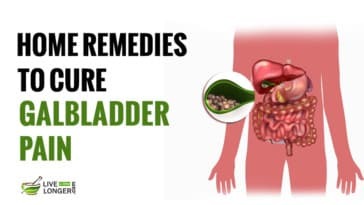 You have poor digestion or metabolism. You are taking blood pressure medications. You are taking medications for blood clot or bleeding disorders. Apple cider vinegar has many medicinal properties and is a great cure for pink eye. It is a highly effective viral, bacterial slayer and reduces the itchiness from your eyes. Step 1: Mix 1 tablespoon of apple cider vinegar with one cup of filtered water. Step 2: Now dip a clean towel in the mixture and gently apply around the surface of the infected region. Step 3: You can also use it as an eyewash. 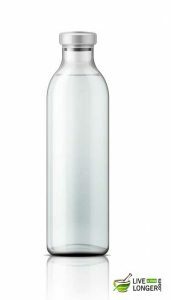 You can even make eye drops by diluting apple cider vinegar in filtered water. Put 2 drops in the infected eye every hour. This might sting a bit, so use carefully. 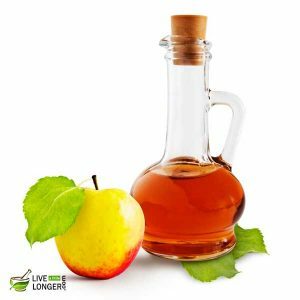 Apple cider vinegar is made by fermenting the juice of crushed apples. 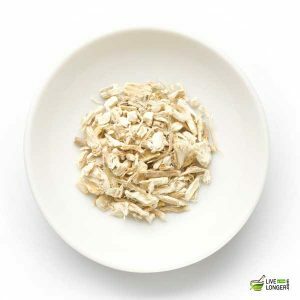 It contains malic acid and acetic acid, which fights effectively against the virus, bacteria, and fungi. You are allergic to its compounds. Witch Hazel is a modern astringent obtained from the leaves and barks of witch hazel shrub — Hamamelis virginiana. 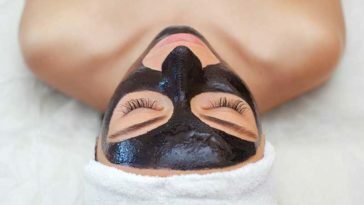 It is widely used for treating skin problems and tumors but is used for more than just for natural skin care and beauty. Step 1: Dip a clean cotton ball or gauze pad in witch hazel extract. Step 2: Apply it on your eyelid and underneath you eyes. Step 3: This will help reduce the itching and swelling of your eyes. 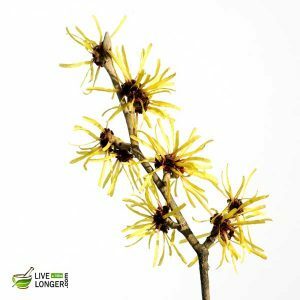 Witch Hazel contains astringent properties, called tannins, which fights infections and help reduce swelling as well as irritation. Your skin is prone to allergies. Chamomile is one of the most well-known herbs for its anti–inflammatory, anti–irritant, and anti–microbial properties. Apart from treating conjunctivitis, it also cures puffy eyes and dark circles. Chamomile tea is highly effective for natural conjunctivitis treatment or red eye problems and is being used since years. 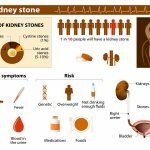 It is something you can easily find at a health & food shop, a supermarket or a chemist store. Step 1: Boil 1 ½ cup of filtered water and add one heaped spoon of chamomile tea or a chamomile tea bag to it. Step 2: Let it brew for about five minutes. Step 3: Strain it or remove the tea bag and allow it to cool down. Step 4: Directly apply the tea bag onto your eyelids and repeat it for a few times a day. Step 5: You can even use a cotton pad to wipe your eyes with it. 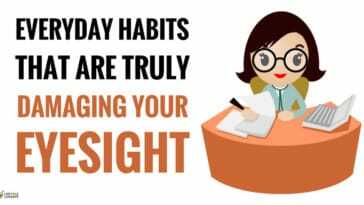 Do this once in every 1 – 2 hours in a day. Step 6: Usually the infection will go away within 24 to 36 hours. Step 7: You can also sleep with a cotton pad “eye patch” to get rid of the infection. 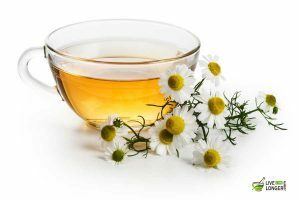 Chamomile contains several types of flavonoids and medicinal properties such as astringent, anti-bacterial and anti-inflammatory. 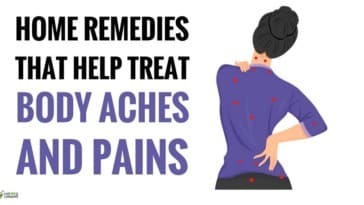 These properties help reduce the swelling and irritation by decreasing the production of chemicals called histamines, prostaglandins, and leukotrienes. These are the chemicals released by your body to create a swelling response in the affected area. You are allergic to ragweed or other such pollens. You are going to have surgery in next two weeks. You have hormone-sensitive ailments such as ovarian cancer, uterine cancer, breast cancer, uterine fibroids, or endometriosis. 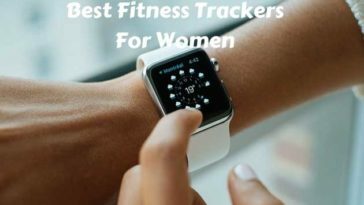 You are taking any birth control or contraceptive medications. You are taking any sedative medications. Castor oil is derived from castor seeds (found in the fruits of castor plant, Ricinus Communis). 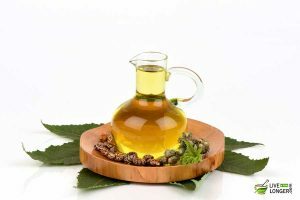 Castor oil is used for treating various types of ailments such as rheumatism, constipation, menstrual disorders, lactation, gastrointestinal problems, anti-inflammatory, labor stimulant, anti-disinfectant, asthma, skincare, and hair care. It even has industrial usages, like lubricating machines, etc. On the other hand, a powerful toxin called ricin is also made from certain protein seen in the castor seeds, which is used for chemical warfare. The anti-inflammatory properties of castor oil make it an effective treatment for conjunctivitis. Step 1: Apply a few drops of castor oil to the infected eyes directly. Step 2: It helps sooth the irritation as well as removes the infection. Step 3: You can also apply castor oil generously over the upper and lower eyelids. Step 4: Rest and let it get into your eye by itself and do its job of curing the infection. Note: Applying castor oil to eyes might temporarily fog your vision, so it is suggested to do it before sleep. It is also advised to use this method as soon as the early signs of pink eye appear. Castor Oil has several disinfectant properties, which helps you fight against the microbes that cause pink eye. It also has a biochemical called undecylenic acid, which helps prevent further growth of the microbes. You have any symptoms of appendicitis. 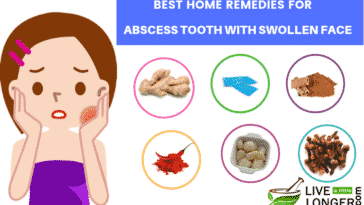 You have allergic reactions to castor oil. We will make it very clear to you that the Marshmallow we are talking about here is not those sweet, fluffy candies or the ones you roast at campfires. Marshmallow, scientifically called Althaea officinalis, is an African based demulcent herb. The Egyptians first discovered the medicinal properties of this plant. The herb is widely popular in the treatment of dry coughs and sore throat. Step 1: Boil marshmallow roots in a cup of filtered water to derive its extract. Step 2: Allow the water to cool. Use this as an eyewash. Step 3: Repeat the process several times a day for better results. Marshmallow roots contain a biochemical called mucilage, which exhibit flavonoids and anti-inflammatory properties. The flavonoids help to reduce the inflammation in the eyes caused by conjunctivitis while the mucilage helps prevent any further damage. 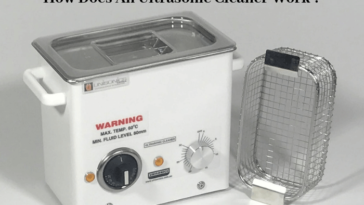 It also helps in promoting the phagocytosis process, in which all the virus ad bacteria are removed. You are undergoing surgery in two weeks. Pink eye needs to be treated from the inside of your body too. 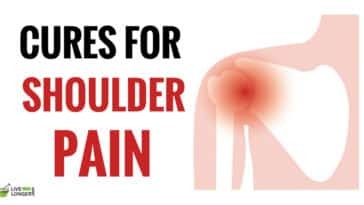 The susceptibility to inflammation and infection often shows the level of your body’s congestion and resistance. Therefore, it is necessary to treat conjunctivitis internally. 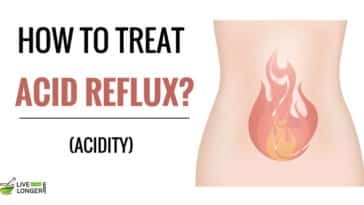 For this, you can use a common ingredient found in everyone’s kitchen – “garlic.” Garlic is one of the most effective natural antibiotics used for treating many types of diseases. However, it can treat conjunctivitis, both internally and externally. Step 1: Peel one garlic clove and extract the juice from it. Step 2: Apply one drop of it directly on the infected eye or just rub it on the eyelids. Step 3: Repeat the same for a few times a day. Step 4: Works well against bacteria and virus. Note: The juice might sting a bit, so use in moderation and carefully. 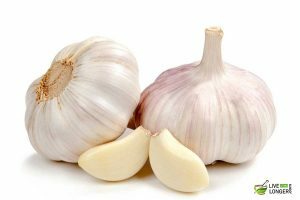 Garlic has an enzyme called allicin, which is a veritable anti-inflammatory and antibiotic compound. 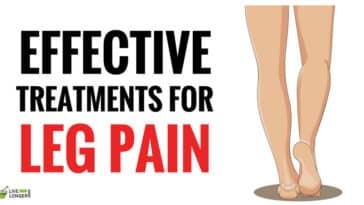 This helps to reduce the swelling and to ease the pain and irritation. The several sulphur compounds of the garlic act as a detoxifying agent and helps to enhance your immune system. You have stomach disorders and indigestion. 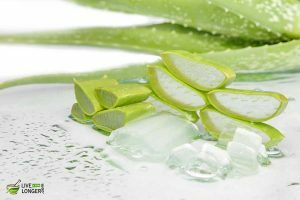 Aloe Vera is like the “King” of all natural pharmaceuticals. No matter, what the ailment is, this green plant always makes it to the list. It has some amazing antibacterial, antifungal and antiviral properties, which work well against the pink eye. 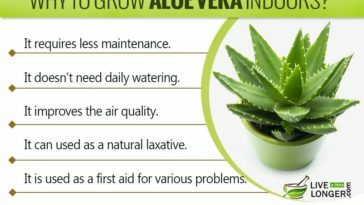 Step 1: If you have an Aloe Vera plant in your backyard, just cut a small leaf from it. Step 2: Apply a couple of drops (of the gel or juice) into each eye. Step 3: Repeat the same for several times a day. Step 4: You can also soak the gel peeled from freshly cut leaves in a cup of boiled and later cooled water and use it as eyewash. 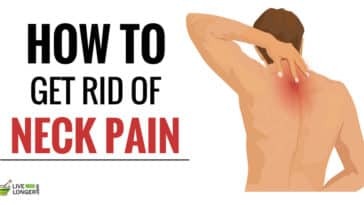 Step 5: If you cannot get Aloe Vera, you can also use store bought aloe gel (read the instructions and side effects before using). Note: Not recommended for treating children. Aloe Vera contains amodin and aloin, which has antiviral and antibacterial properties. They are known to be harmful against viral, bacterial, and fungal infections, which in turn helps reduce the symptoms of conjunctivitis. You are trying to get conceive or already pregnant or to treat conjunctivitis (consult a doctor beforehand). Use cold or warm compress on the eyelids. Apply brewed, cooled green or black tea bags. Use a saline solution to wash your eyes. For babies, refrigerate breast milk and dab it on the eyes using a cotton ball. Boil fennel seeds in a cup of filtered water, strain and cools it. Use this as an eye wash to ease the pain. 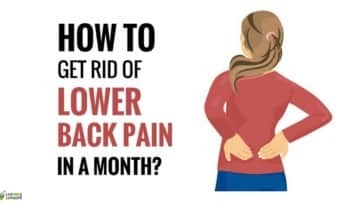 To quicken the process of healing the symptoms, avoid foods that contain sugar or starch, such as white bread, puddings, potato, jams, and cakes. Raw juices from vegetables like spinach and carrot. Foods that are rich in Vitamin A – pumpkin, papaya, butter, mango, whole milk, carrot, tomato, etc. Foods that are rich in Vitamin B2 – banana, almonds, green leafy vegetables, citrus fruits, milk, etc. 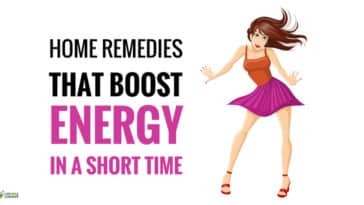 If your pink eye doesn’t seem to cure even after a week or you are experiencing critical symptoms like sensitivity to light, blurred vision, discomfort, and severe pain, seek immediate medical assistance. 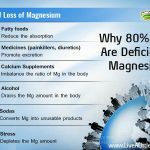 Previous article Why 80% of Us Face Magnesium Deficiency?